Can’t make it to Japan to touch and smell the Sakura? But you can sip on a hot cup of fragrant Sakura tea from Lipton and let your senses engulfed in the scent of cherry blossom! Lipton Sakura tea in available in easy-to-use pyramid-shaped tea bags, it is recommended to drink the tea straight to enjoy the delicate Sakura flavour fully. You can purchase a box of 12 tea bags at only 324 yen from Rakuten. 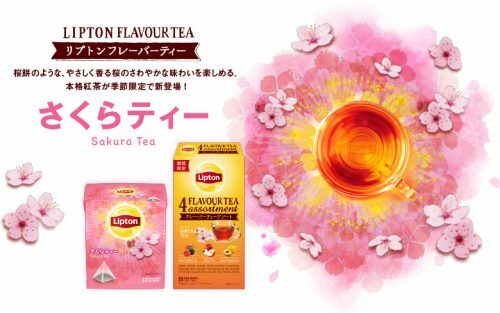 Local shipping within Japan is FREE for orders over 3,000 yen, check our other Lipton Japan products here! Sign up with us and gain access to our Japan warehouse now!